I like to think I can turn anything into a learning opportunity. Sometimes I wake up in the middle of the night with an idea of how to transform something we already do into a teachable moment. It's a problem, I know. First and foremost, it's a problem because I need to remember to allow time for natural learning, sans lessons, goals, or outcomes. It's also a problem because I need more sleep! I'm going to place this teachable moment in the "huge success" column and pat myself on the back a little for not complicating it. 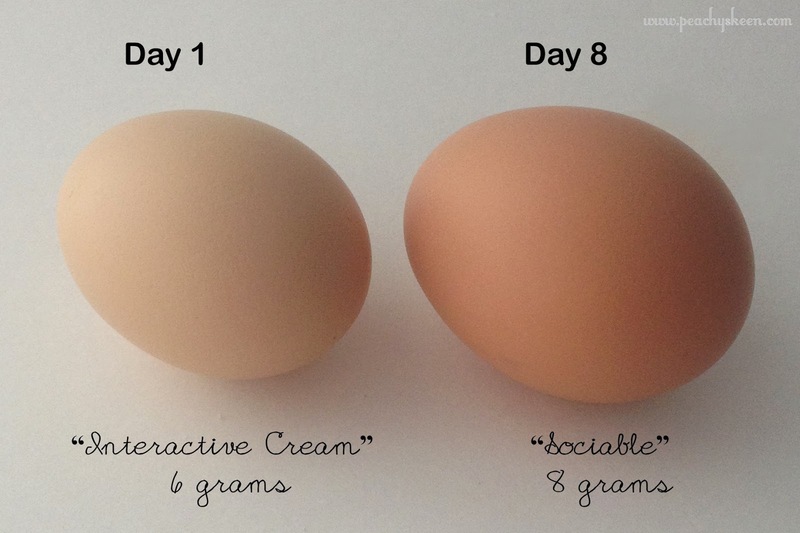 Our chickens recently began laying eggs. We are first-time chicken keepers and this is very exciting stuff. Collecting eggs might be the only task Janie Kathryn performs immediately upon request. 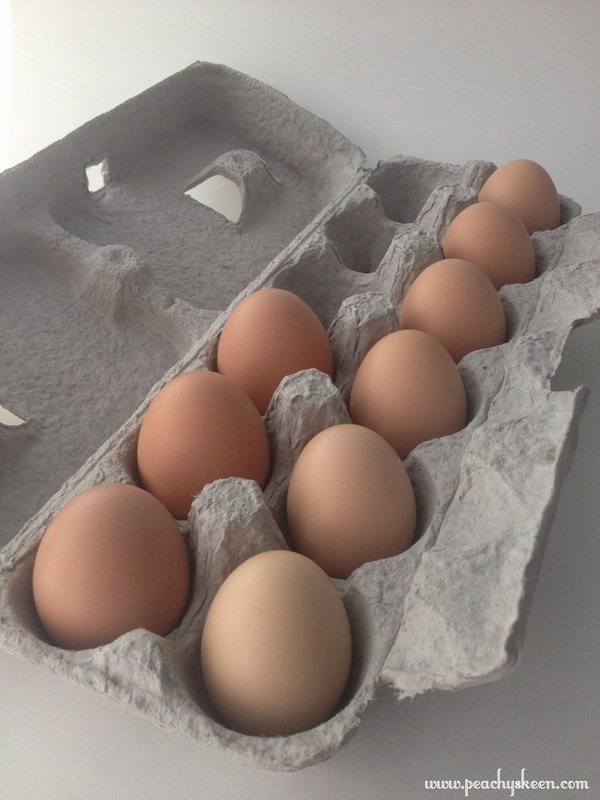 Since we were only getting one egg per day, we decided to save them until we had enough for everyone to enjoy an omelet. 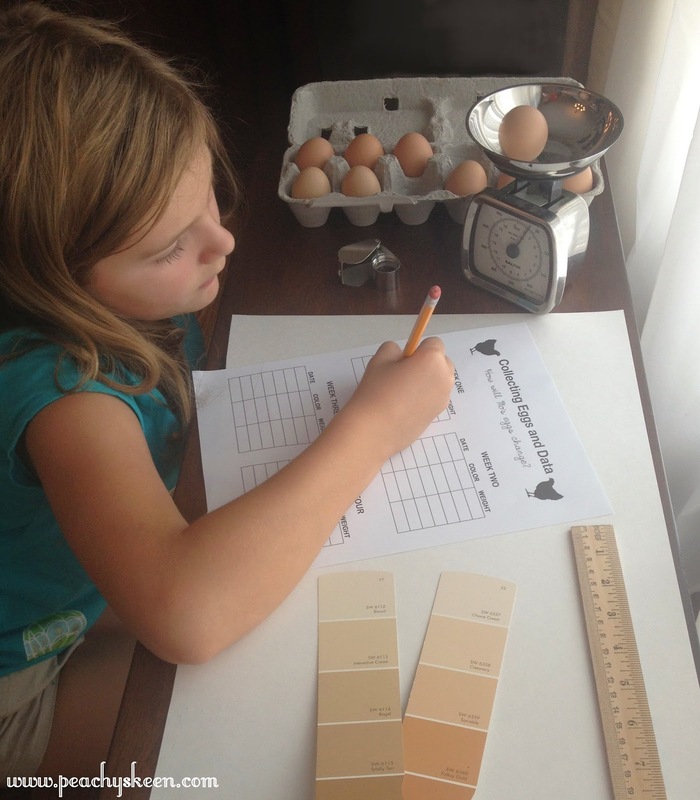 In doing so, we discovered that the eggs were changing day by day. 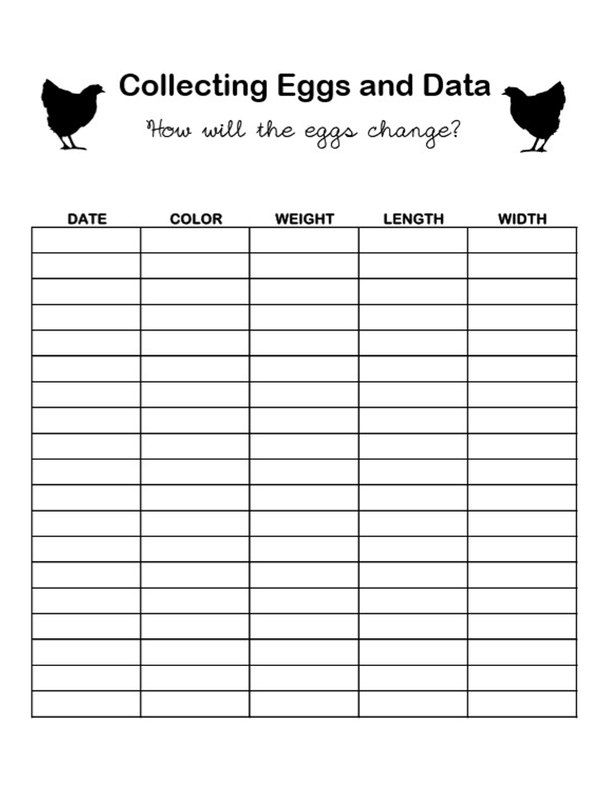 I thought tracking the changes might be a great way to practice collecting scientific data. I started thinking... How can I tie in the scientific method? What could the hypothesis be? How long would it take to form a valid conclusion? And then I realized I was about to ruin the project. I was complicating it. It didn't need to be a science project. It could just be exploration for the sake of exploring. It could be collecting data because it's cool to see the changes on paper. Maybe the information would lead to something and maybe it wouldn't. It was going to be great practice and great fun either way. I made a chart for keeping the data and gathered the necessary tools- scale,our Great Women Rulers of Science ruler, lighted magnifying glass, and fan deck of colors. How else were we supposed to document color changes? She's two weeks into data collection and still going strong! 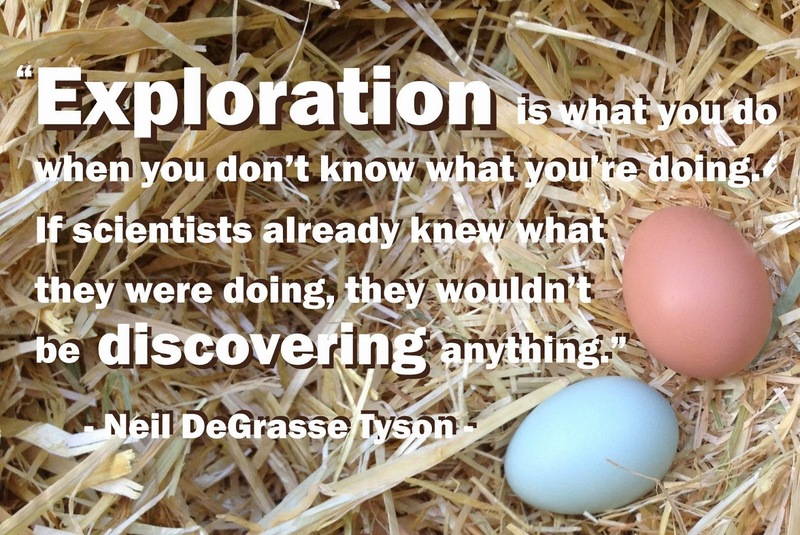 When writing this post, I recognized my continued use of Neil DeGrasse Tyson quotes. I can't help that the man says so many great things! I thought it fitting to finish the quote that began this post. "This is the fundamental disconnect between what's going on in the educational system and what it takes to be a scientist. People who are scientists today are scientists in spite of the system, typically, not because of it." Science, Technology, Engineering... and Mouse!